Oh my god! They assembled a list of all the ways they killed Kenny on South Park! It used to be a weekly occurrence on South Park: Something would kill the hooded youngster Kenny, Stan would exclaim “Oh my god! 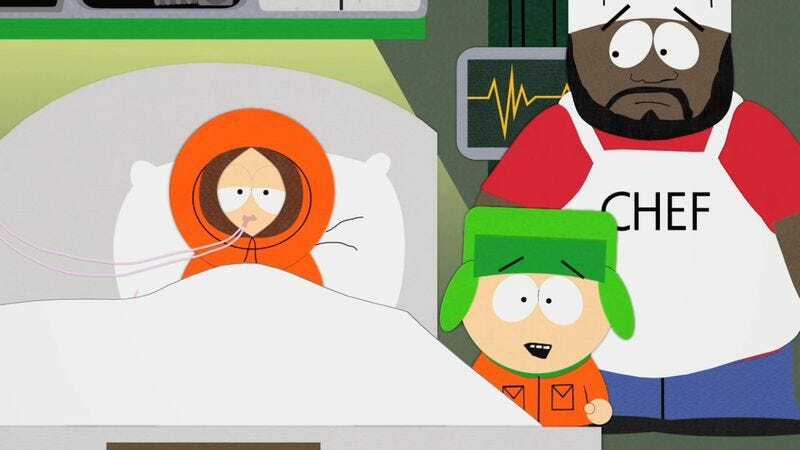 They killed Kenny!” and Kyle would then scream out “You bastards!” That trope has since faded as time has worn on, but it was a repeating gag for many seasons before Trey Parker and Matt Stone got bored with the concept and seemingly abandoned it. But for many episodes it was a fixture to see the way that the writers would shoehorn in Kenny’s demise, usually in some grotesque manner that seemed impossible to undo. And yet he would show up in the next week’s episode, fit as a fiddle. Now someone has compiled all of Kenny’s deaths in the TV show (and movie) into a long list to see all the various ways Parker and Stone invented to kill off the poor child.